3D Connexion have extended their family of navigation devices with the introduction of the SpaceMouse Pro Wireless. We have had some hands on time with the device for the past few weeks and have a detailed and unbiased breakdown of whether it lives up to the hype. 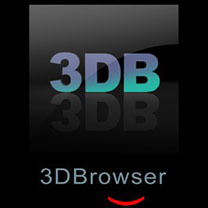 If you are in the market for a 3D navigation tool then read our full review. We did a bit of hunting around to see what tools were available that allowed you to browse, catalog and manage my 3D assets. We ended up with MooTools 3D Browser for 3D Users. This detailed and comprehensive review of MooTools 3D Browser cover all aspect of the application of how the best leverage into your workflow. In this review we take a look at the David SLS-1 3D Scanner from DAVID 3D Solutions. This is the latest edition to their long term commitment to providing affordable scanning solutions for enthusiasts and professionals. If 3D scanning is something you need in your workflow then the SLS-1 could be the missing piece in the jigsaw? Dale Martens is renowned for extending SketchUp's possibilities. Over the years he has left us in awe with the likes of Profile Builder, Bool Tools, UV Tools and the sublime Subdivide and Smooth. Well he's back and this time he raised bar! 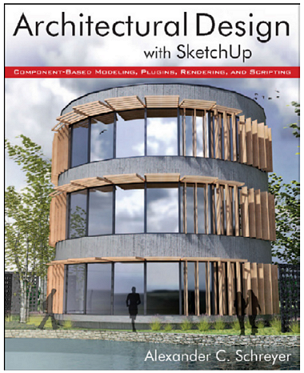 Artisan for SketchUp is the organic modeling solution for SketchUp you have always dreamed about. We have an exclusive discount for Premium Members of $10 off the full price. Read on to find out more. Material Maintenance for SketchUp tackles the often laborious task of material replacement in SketchUp. Using materials in SketchUp can quickly become a dark art when you are dealing with components, groups and layers not to mention the number of materials you may have in your model at any one time. Luckily there is an extension for SketchUp that makes managing your material libraries a cinch! 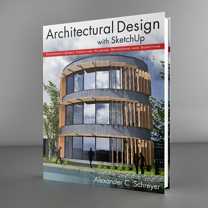 If you currently use SketchUp for architecture/design, drafting, drawing and presentation then Alex Schreyer's new book, Architectural Design with SketchUp might be for you. 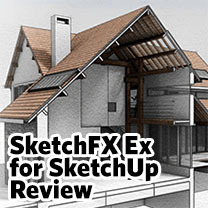 I had the pleasure of reviewing Alex' newest offering and it proved to be a bit more than your regular SketchUp book. SketchUp 2014, the 10th major release of your favourite 3D tool, builds on last year's foundations and begins to give us a clearer picture of where SketchUp is headed under Trimble. 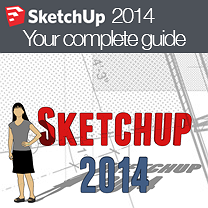 Want to know exactly what's shiny and new in SketchUp 2014? We have had some extra hands on time prior to it's release and we have a full overview on SketchUp Pro 2014 outlining all the new features, improvements and what exactly has been super-charged. ...and say hello to Sophie!